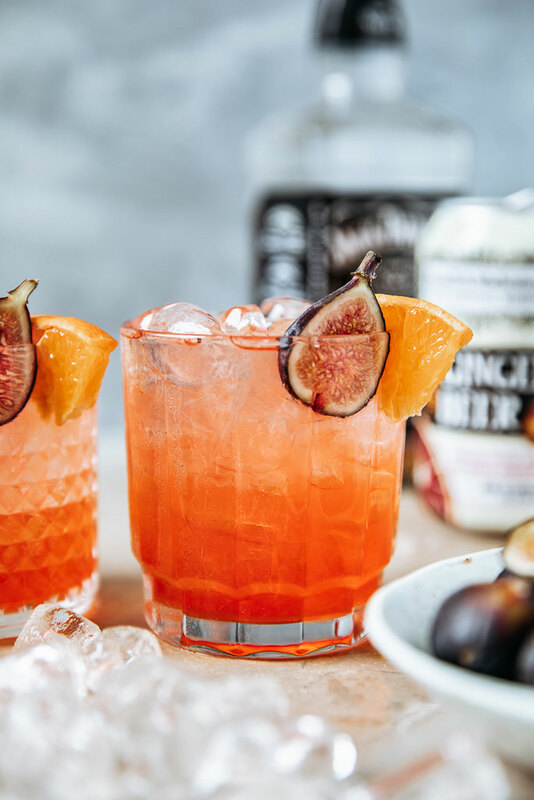 Fall figs are smaller and sweeter – making them the perfect addition to your cocktail. 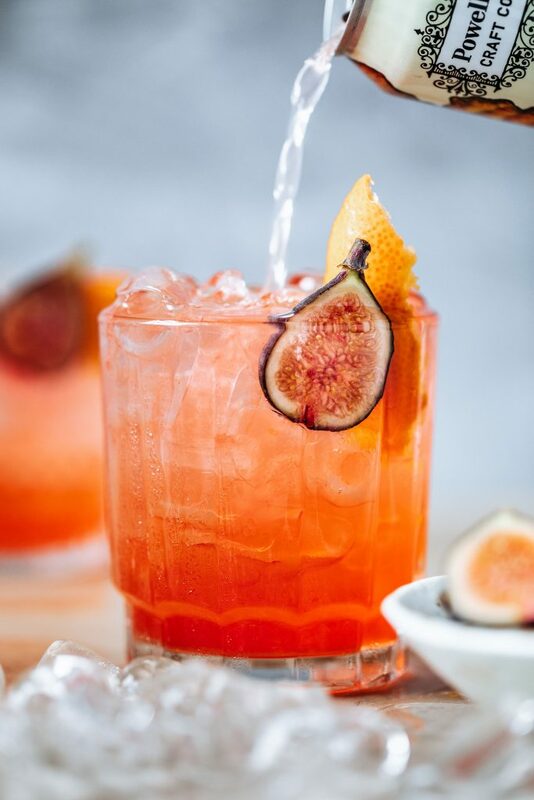 Our Blood Orange & Fig Fizz recipe combines the honey-like sweetness from figs, the subtle heat of ginger, and the tang we all love from blood oranges. In a shaker, muddle 1 ripe fig. Add 2 oz. of whiskey and a handful of ice to the shaker. 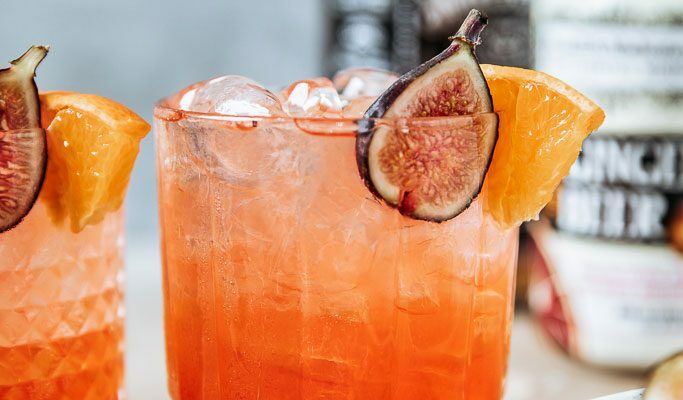 Shake vigorously, strain, and reserve the fig-infused whiskey. 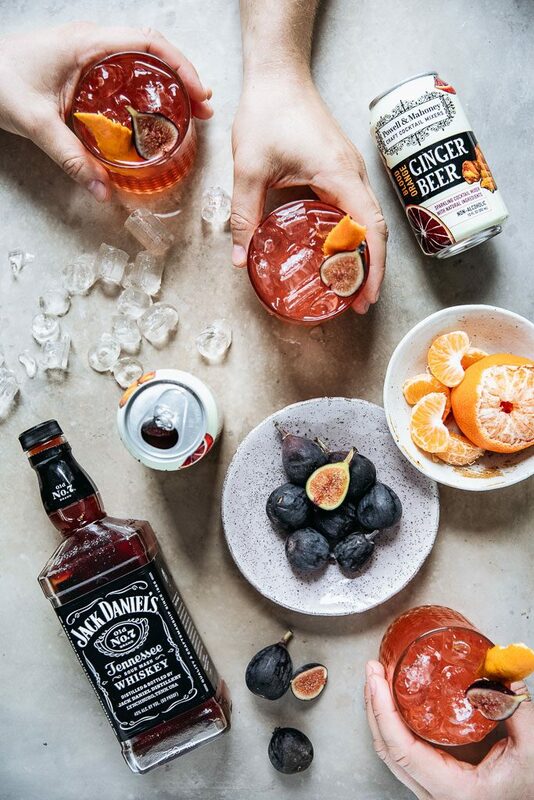 In a shaker, add the infused whiskey, tangerine juice, maple syrup, and bitters. Shake with a few pieces of ice. Strain into a double rocks glass filled with ice. 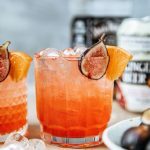 Top with Powell & Mahoney Blood Orange Ginger Beer and garnish with half a fig and a twist of orange.